Italian filmmaker Michelangelo Antonioni created a new cinematic language for ennui. Like fellow Italian filmmakers Roberto Rossellini and Vittorio de Sica, Michelangelo Antonioni was trained by his country’s shattering experience in World War II to build a neorealist cinema out of the Roman rubble. But somewhere along the way he noticed the modern age was outracing the “real,” and in his breakthrough picture—which, tellingly, was both roundly rejected and wildly acclaimed within hours at the Cannes festival where it premiered—conflict and story gradually vanish from the screen as surely as the woman who goes missing on an island, barely to be thought of again let alone seen. 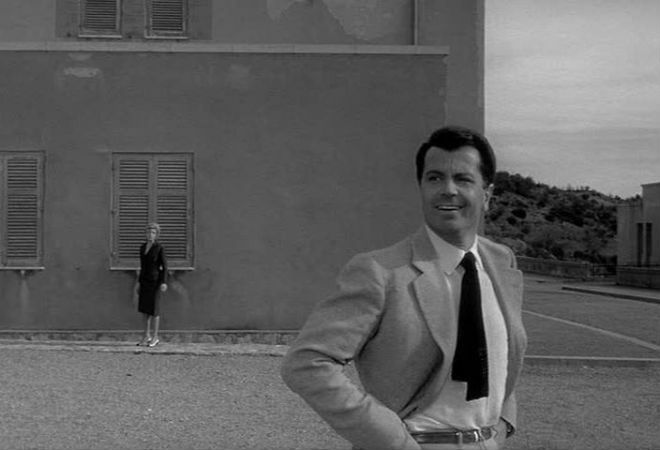 Antonioni understood that when alienation looks as ravishing as star Monica Vitti, in whose face anguish is constantly at war with languor, oblivion takes on an incontestable allure. So he created a new language for ennui: long pans of beauty and desolation, conversations that trail off into the lyricism of pauses. Half a century later this movie looks as contemporary as ever; even money says Sofia Coppola has seen it more than anything by her father.